Most geeks hate wearing a shirt and tie (myself included), never mind a suit, but there are those occasions when a more formal outfit is required, so why not add some geeky style to that boring outfit with a set of geek cufflinks. 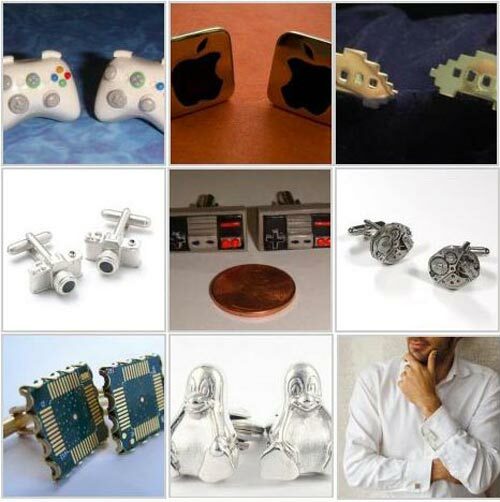 Here’s our list of 21 geek cufflinks that will put a smile on your face and add a little bit of geek style to that formal outfit. 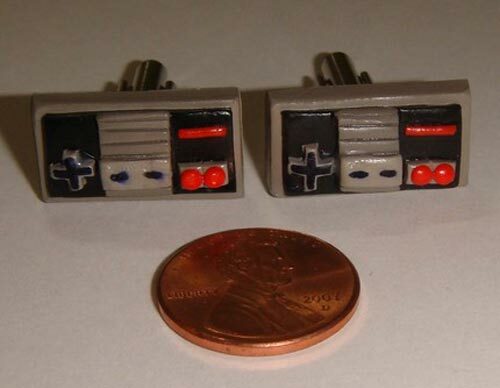 These cool gaming cufflinks are available for $27 from The Clay Collection. 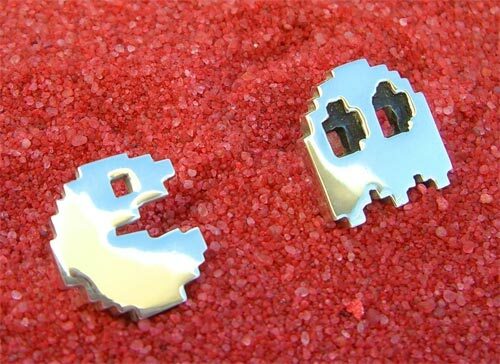 This fun set of Pac Man cufflinks is available for $35 from Sarah Lynne Designs. 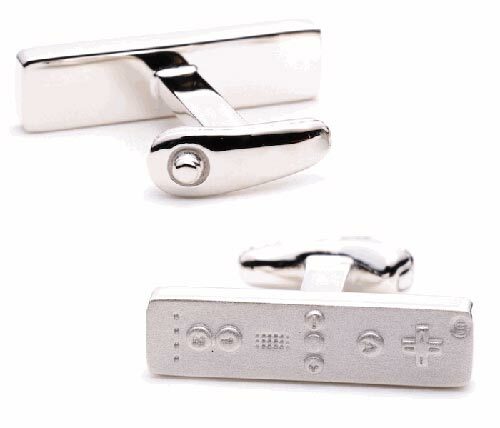 These cool looking Wiimote cufflinks are available for $150 from Cufflinks.com. These fun handmade clay cufflinks are available for $27 from the Clay Collection. 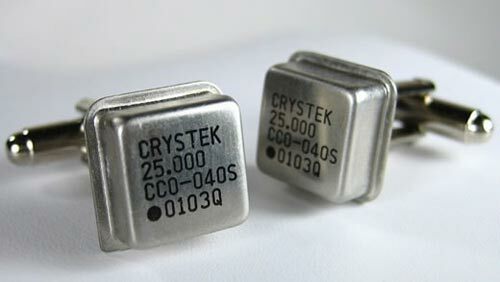 These stylish Oscillator cufflinks are available for $10 from digiBling. 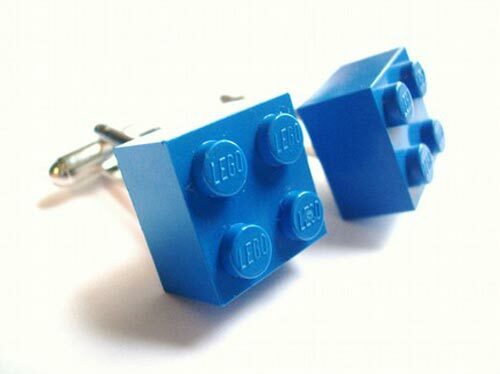 These fun Lego cufflinks come in a variety of colours and are available for $9.99 from Cufflinks. 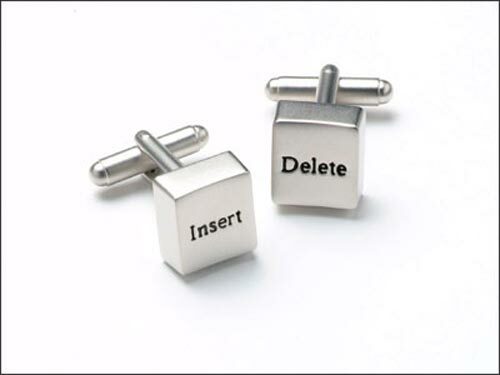 These cool looking Insert / Delete cufflinks are available for $16 from Cuffs n Collars. 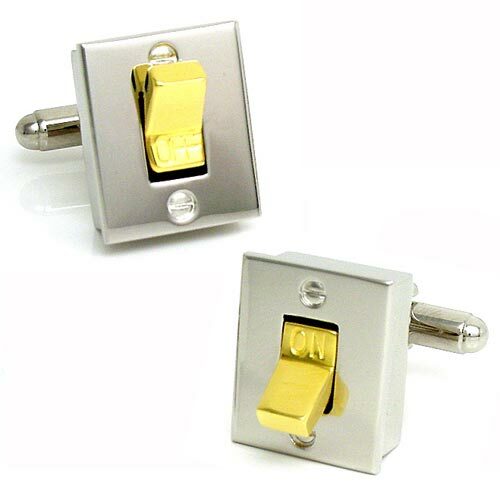 These funky looking light switch cufflinks have an on and off button and are available fro $85 from Cufflinks.com. 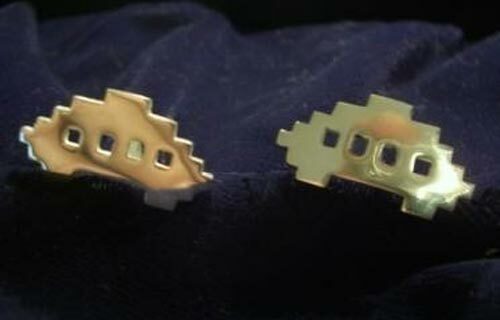 These cool Space Invader cufflinks are available for $45 from Beaujangles. 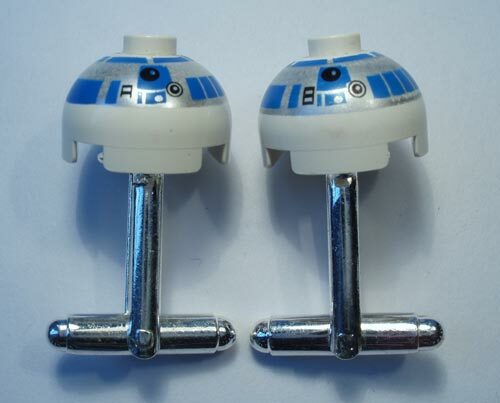 A must for Star Wars fans, these fun R2-D2 Lego cufflinks are available for $16.95 from Bits and Badges. These handmade Apple Logo cufflinks are available for $50 a set from Beaujangles. With 2GB of storage these Stylish USB Flash drive cufflinks are a must for any geek wardrobe, available for special order from USB Jewellery. 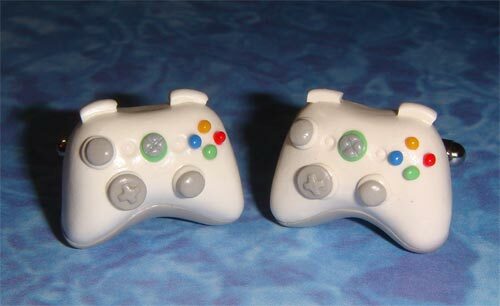 Another geeky set of cufflinks made from clay, available for $22 from The Clay Collection. 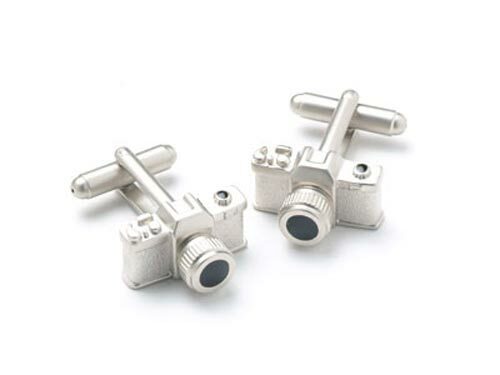 Here’s one for the photography geeks, the DSLR Cufflinks, available for $16 from Cuffs n Collars. 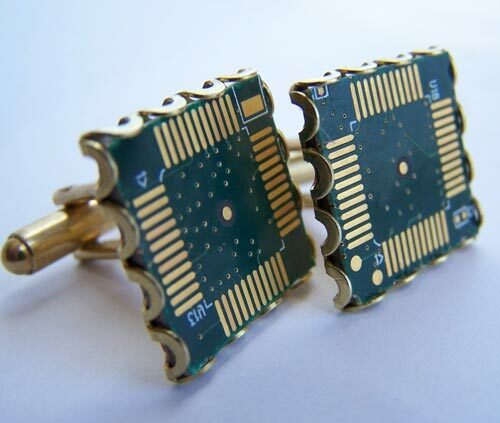 Handmade from vintage circuit boards, these funky computer cufflinks are available for $21 from Violets New Vintage. 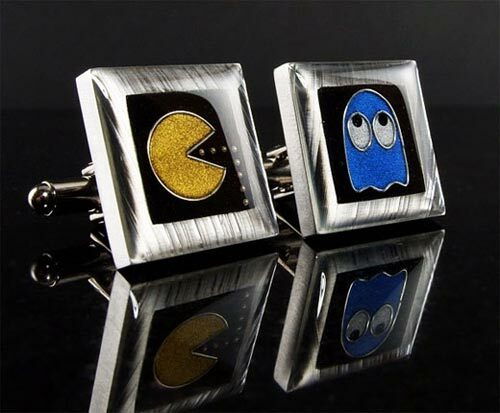 Another cool set of Pac Man cufflinks, available for $48 from Beaujangles. 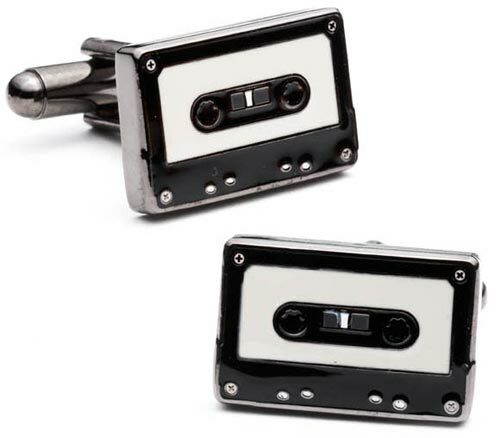 Here’s a fun pair of Casette Tape cufflinks for all the retro geeks out there, available for $50 from Cufflinks.com. 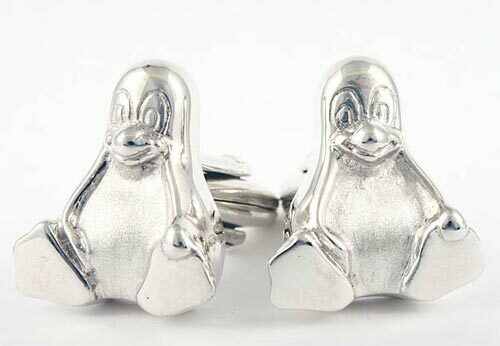 Here’s one for the Linux Geeks, the Tux Cufflinks, made from sterling silver, available for $60 fro Dedalo. 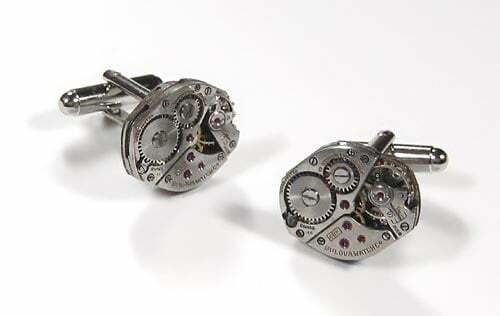 These funky Steampunk cufflinks come in a variety of designs with prices starting at $45 available from EDM Designs. 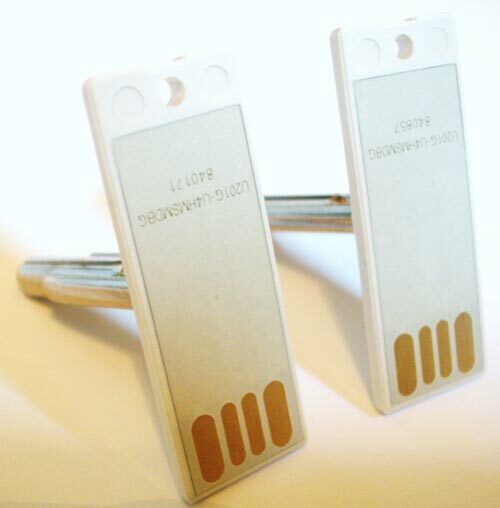 Here’s another cufflink to store your data on, the Flash Drive cufflinks, each one can store 1GB of data and they are available for $49.99 a set from Cufflinks. 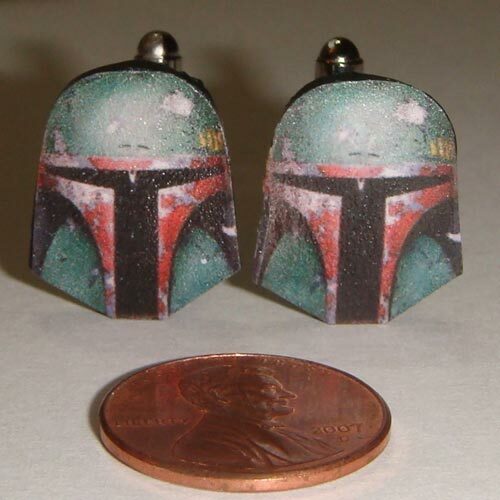 Another cool set of clay cufflinks for the Star Wars fans, available for $22 from The Clay Collection. 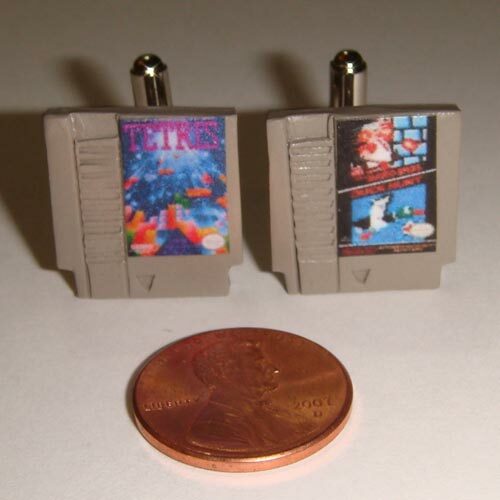 Overall I think there is bound to be at least one design above for every geek out there, my personal favourite has to be the NES Cartridge cufflinks, if you find any other cool geek cufflinks please feel free to send us a link so we can feature them on the site.